Winnipeg’s long winters make us – its citizens – crafty. We are a creative bunch, scheming up ways to keep ourselves and those around us inspired and entertained because we’re clever and we like to share. Winnipeg is known the world over for the intriguing output of its bands, filmmakers, artists, performers and writers. And, on a local level, everyone knows at least one uniquely talented knitter, printer, jewelry maker and/or designer. Winnipeg keeps itself alive with the strange and wonderful. Our energy is unstoppable. Plug In ICA wants to celebrate this energy with a three day festival of all things DIY* scheduled to take place from May 7 – 9, 2010. 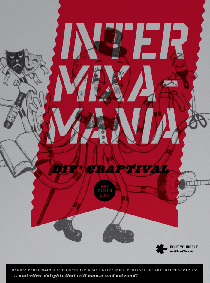 Open to Winnipeggers of all ages during the day, we will host a bazaar-like extravaganza of DIY* publishing, media, screenings, performances, music and installations, crafts, demonstrations, and snacks. In the evening, we will transform our interior to become a live music and performance venue, featuring local bands and DJs, as well as a special guest from the prairies South of us, Iowa-based performance artist Leslie Hall. Outdoor programming is available free of charge. Indoor programming is subject to admission as part of a fundraising initiative for Plug In ICA. Co-programmed with A. Kiendl and S. Paul.